Effective immediately, the Irish Naturalisation and Immigration Service has increased Stamp 1G validity periods for certain students and discontinued Stamp 1G status for others. Eligible students must apply for the Stamp 1G within six months of being notified by their institution that they have achieved an award and must not exceed the maximum time period allowed to remain in Ireland as students. Effective immediately, the Irish Naturalisation and Immigration Service (INIS) has increased Stamp 1G validity periods for certain graduates and discontinued Stamp 1G status for others. Eligible students must apply for the Stamp 1G within six months of being notified by their institution that they have achieved an award and must not exceed the maximum time period allowed to remain in Ireland as students - generally seven or eight years, depending on the National Framework of Qualifications (NFQ) level of the course. Level 10: doctoral degree or higher doctorate diploma. The previous allowance under Stamp 1G was six months for a Level 7 qualification and 12 months for Level 8 and above qualifications. Level 9 (and higher) qualification: 24 months, issued initially for 12 months with a possibility to renew for additional 12 months if they meet the requirements of obtaining graduate-level employment. Level 7 students who achieved their award on or before December 31, 2016 will be eligible for a Stamp 1G with a validity of six months if they were enrolled on or before May 31, 2017 in a program leading to a Level 7 qualification. Those enrolled after May 31, 2017 are no longer eligible for Stamp 1G status. This exception will expire on December 31, 2019. Students enrolled in a program accredited overseas leading to an equivalent award of Level 9 qualification on or before May 31, 2017 will be eligible for Stamp 1G with a validity of six months. This exception will expire on August 31, 2018. The new validity periods will offer more flexibility to both students and Irish employers. Foreign national students who graduate with a master's or doctoral degree in Ireland will now have an extra year to find a sponsoring employer. Employers are now able to employ certain graduates for longer periods without needing to sponsor them on an Employment Permit. This alert is for informational purposes only. 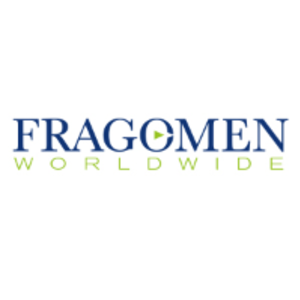 If you have any questions, please contact the global immigration professional with whom you work at Fragomen or send an email to ireland@fragomen.com.